The small electric shunter Te 2/2 was built by SLM (Swiss Locomotive and Machine Factory) in 1946, specifically for shunting in Brig station. 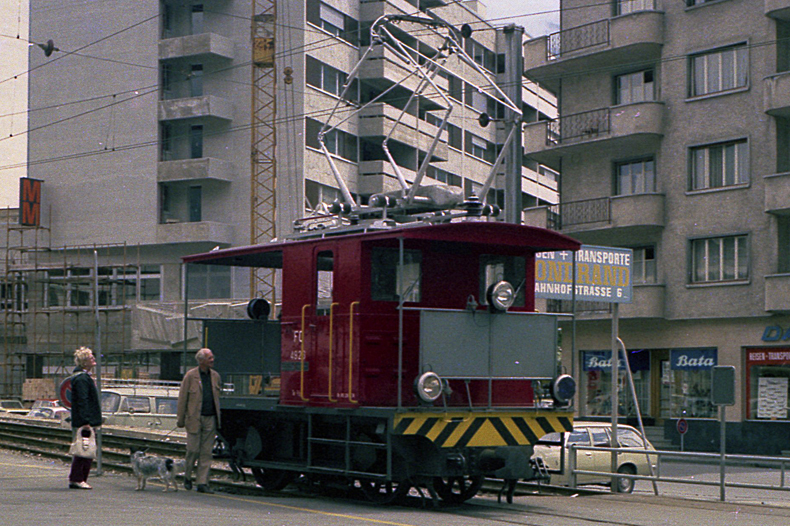 It was one of a larger batch ordered jointly by the Rhätische Bahn (nos 71-73) and the SBB Brünigbahn. The engines produced 230 kW power and a top speed of 30 km/h. Its starting tractive effort was 2900 kg, pretty impressive for the only 13 tons heavy engine. My parents having a look at "that nice little loco", summer 1974.